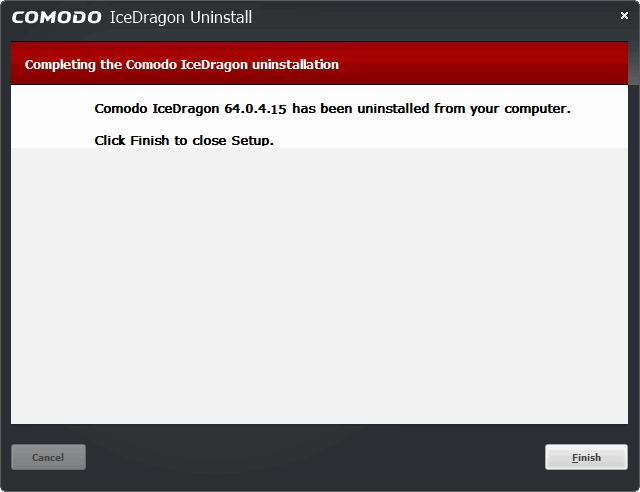 Click Start > All Programs > Comodo > IceDragon > Uninstall Comodo IceDragon. 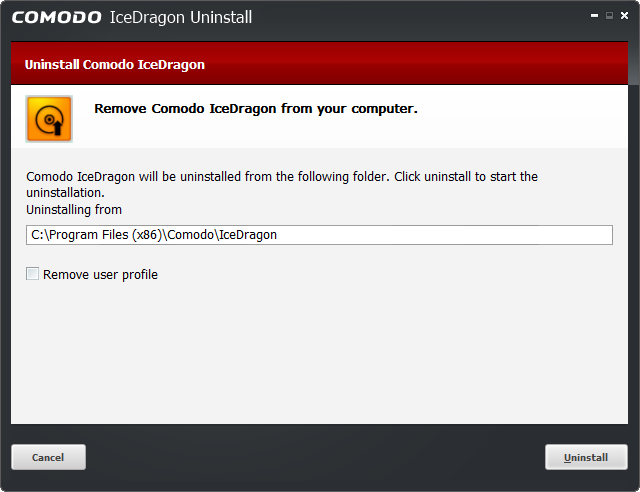 By default, you will be provided a choice to save your IceDragon profile data in your computer. If you plan to install IceDragon again at a later time, IceDragon will use this profile data to configure your new installation. If you do not wish to retain or transfer your browser settings, select the checkbox 'Remove user profile'. 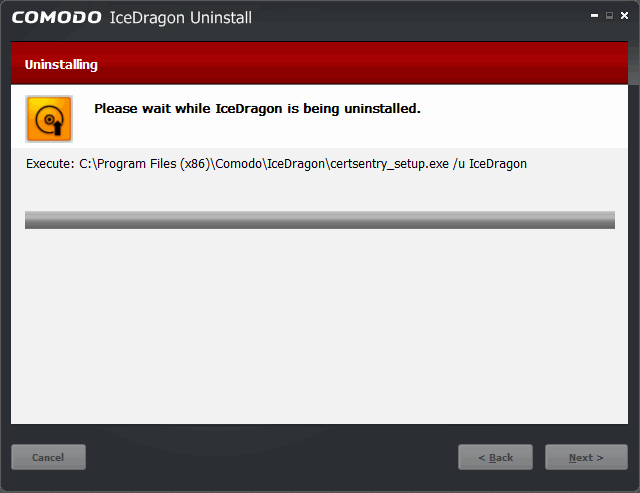 The screen displays the selection of the folder in your hard drive for installing Comodo IceDragon. The default installation location is C:Program Files (x86)ComodoIceDragon. 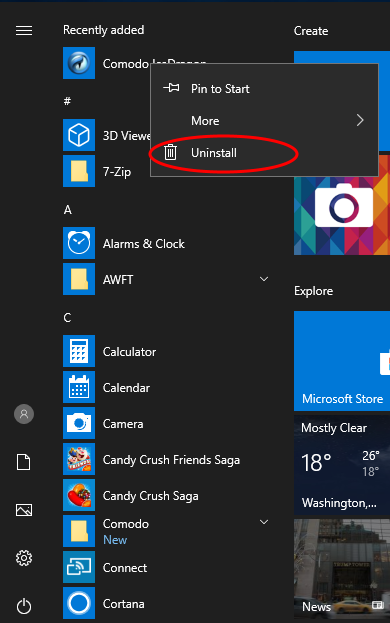 Click 'Uninstall' button to run the uninstallation. On completion, click 'Finish' to close the window.